Time as a resource was the focus in developing the tempora series. Processing edges needs to be as quick, easy, and efficient as possible. Simply convincing: completely revised, solid machining units for the highest demands in a new design, a solid, heavy-duty machine base-frame as well as precise dust extraction. The m-motion and x-motion Plus control ensures highest repeatability-setting accuracy and allows you to generate individual machining programs and to minimize setup time for fast processing and material change. 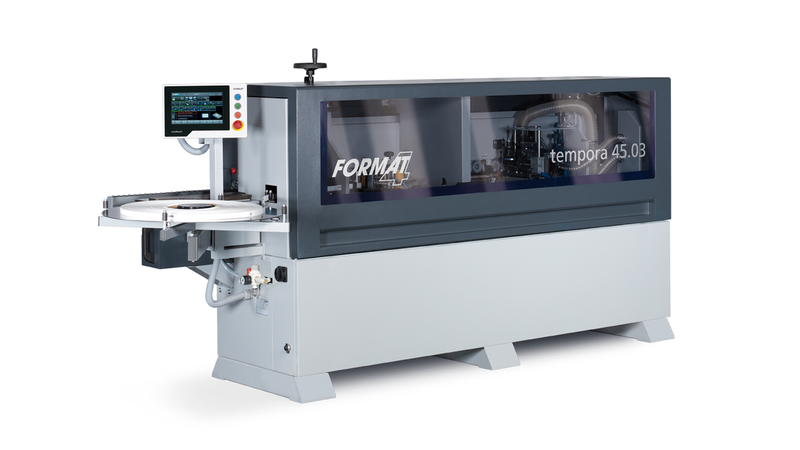 The tempora series was created for individual customer needs. This allows you to flexibly choose the units in the models or to add the x-motion Plus package.